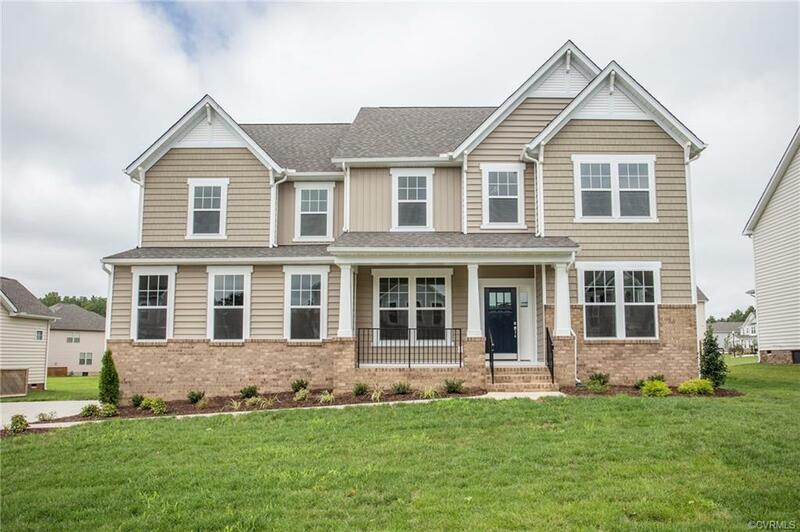 Brand New Home READY NOW in Meadowville Landing! 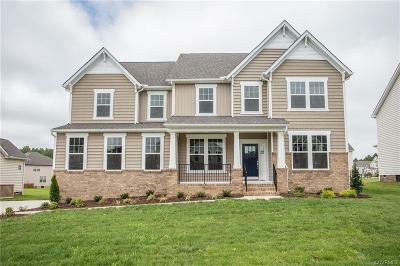 Welcome home to Meadowville Landing, a secluded community tucked away ON THE JAMES RIVER! With a vast number of family amenities & conveniences, the clubhouse, fitness center, pool, community ponds, and river walk contribute to the community’s tremendous appeal. This low maintenance, energy saving home features a side entry garage, fully irrigated & sodded yard. Designer features include hardwood flooring through out the first floor (except office). Gourmet kitchen with sprawling counter space, cozy breakfast nook, granite counter tops & stainless steel appliances which include a gas range. Luxury 2nd Floor Owner Suite offers 2 walk in closets, private bath with a large ceramic tile shower & a dual vanity. (Visual tour are from the builder's library and is shown as an example only of a decorated home. Colors, features and options will vary). Directions: From I295 Take Exit 16 Toward Meadowville Technology Park. In 1.2 Miles Turn Left On Deepwater Cove Drive Into Meadowville Landing. Turn Right On James Overlook Drive, Right On Sternwalk Ct.